The Norpro Sauce Master Berry Screen is an accessory attachment for the Norpro Sauce Master 1951. 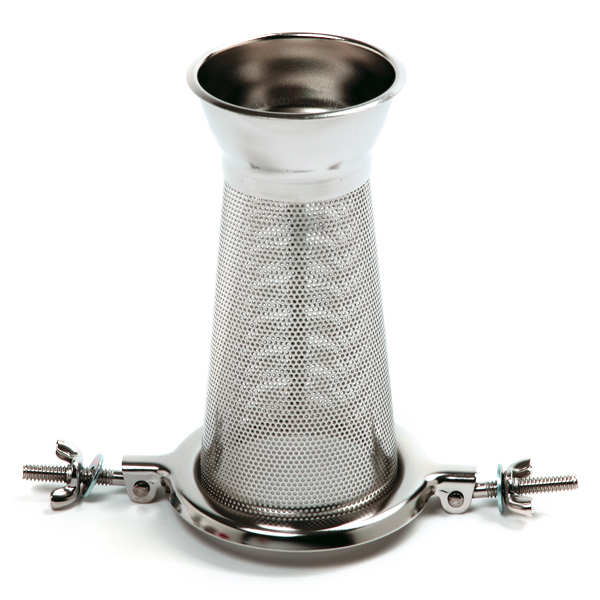 The Berry Screen, a fine mesh screen made of stainless steel construction, removes strains berries and other fruits. Dishwasher safe. Dimensions 3.5 D x 6" H.
* 6"/15cm Fine 3/64" mesh screen.